Do you know how many people you helped this week? From opening doors for strangers, helping a neighbor move furniture, or even lending an ear to a friend that needs advice, our world is filled with random acts of kindness. And it’s these types of positive actions that we instill onto our homeless participants. 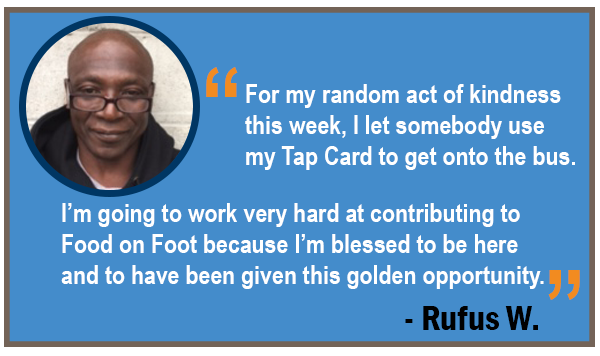 Our homeless clients in the Work for Food program are required to perform a “Random Act of Kindness” every week. 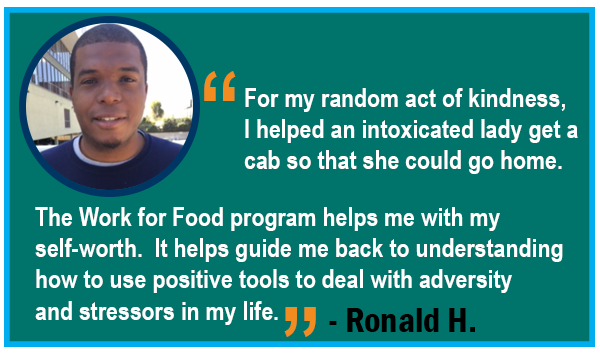 In order to be accepted into the Work for Food program for the week, each participant must first help someone through a random act of kindness and share that experience with the group. We focus on instilling these selfless, positive values while our participants progress through the program on their way to earning a full-time job and self-sufficiency. 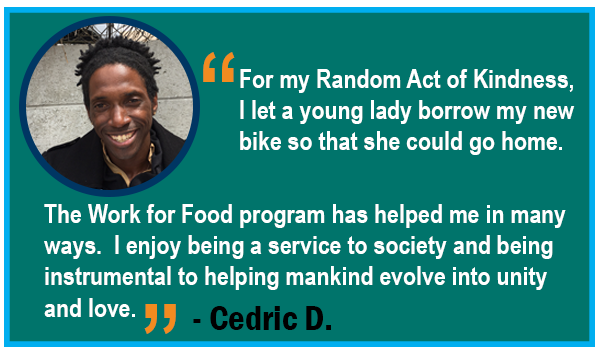 By helping others, our participants in the Work for Food program learn that giving back in life is more powerful than just taking. When you’re living on the street, it’s so easy to get caught up in your own head and think only about yourself. It’s a defense mechanism, and its the only way that many of L.A’s homeless know how to survive. 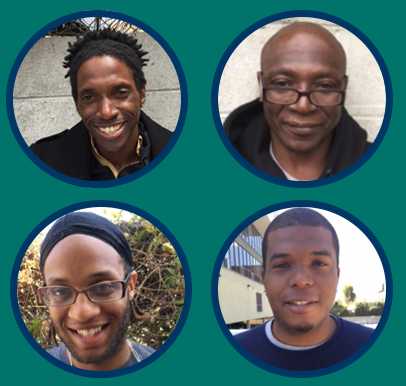 By having our homeless participants help someone through a random act of kindness every week, we are able to show that giving back is an essential part in life. Would YOU like to hear our participants share their random acts of kindness in person? We have an awards ceremony for the top workers in our Work for Food program that takes place during each Sunday Serving. 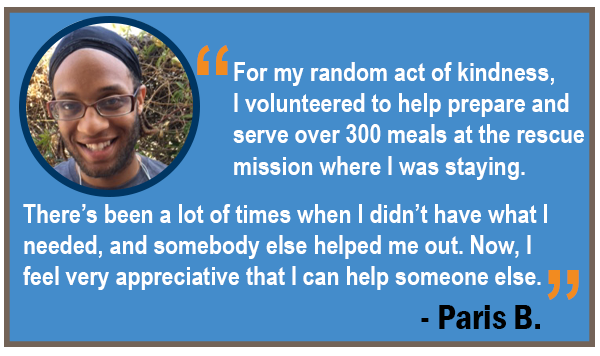 Here, these participants share their random acts of kindness with our volunteers. YOU can volunteer to help feed the homeless on any Sunday and listen to our participants share their random acts of kindness! Its a fantastic way for YOU to give back through kindness while listening to our participant’s heartwarming stories. Sign up to volunteer here!